You will be asked to enter your Registered Account Number (RAN). Our repair shop support line provides easy one-number access to a variety of support options offered by Manitoba Public Insurance for light vehicle and glass repair shops. Not sure who to contact? See the Repair Shop Support Job Aid for help deciding who to call. Have a concern that you would like to escalate? Refer to the Issues Resolution page for more information. When calling our Repair Shop Support Line, you will be asked to enter your Registered Account Number before selecting a support option. 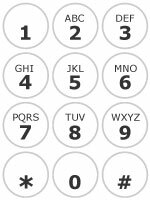 The number uses a combination of letters and numbers that must be entered using your telephone keypad. For example, if your number is BJZ1234, you would enter 2591234. If you are unsure of your Registered Account Number, email partners@mpi.mb.ca and provide your name and the name of your repair shop. Please send us an email if you have general comments or feedback about Manitoba Public Insurance products and services.